Margaret posted this review of her latest book (published in June 2017) on Goodreads – but thought we should give Heather some press here as well. So thank you Margaret for sharing this review and to Heather, we wish you great success with this latest book! Heather will have copies for sale at our Jane Austen Birthday Tea on December 2, 2018. As Margaret mentions, we hope that Madison McTavish will be returning for another adventure! 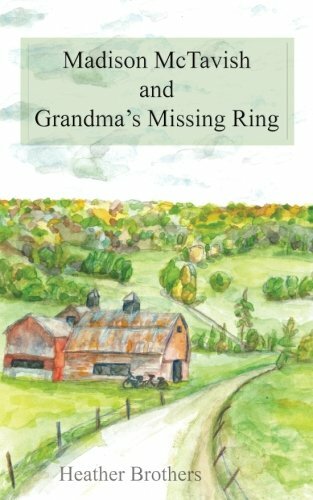 Madison McTavish and Grandma’s Missing Ring by Heather Brothers is an engaging novel about a ten year old girl named Madison who lives in rural Vermont. Not only do readers get to see things through Madison’s eyes but we also get involved with her multi-generational extended family’s entanglements. 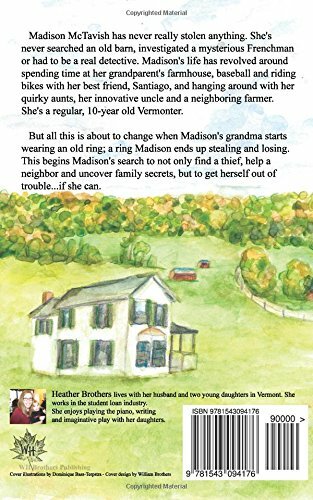 The relationship between Madison and her solid grandmother is central to the story and author Heather Brothers draws them with realistic description and believable dialogue. Readers are relieved of cliché in this finely crafted book and can be surprised just like in life when you do not know what is going to happen next but you look forward to whatever it may be. Besides family relationships there are neighbors, friends and even suitors to Madison’s preferred aunt who populate and drive the story. The setting in rural Vermont is exquisitely visual and pungent with smells of baking, maple syrup, cow dung and roasted pumpkin seeds which bring you right into the rustic atmosphere. Most of all there is the convincing dialogue with people of all ages talking with each other. There is a mystery to be solved and several sub-plots to the story that are written about with an incisive gentleness. This is a story well told. I hope that Heather Brothers will continue to write about Madison McTavish because her debut story is refreshing and enjoyable to read. Synopsis: Madison McTavish has never really stolen anything. She’s never searched an old barn, investigated a mysterious Frenchman or had to be a real detective. Madison’s life has revolved around her grandparent’s farmhouse, baseball with her best friend, Santiago, and spending time with her quirky aunts, uncles and neighbor. She’s a regular, 10-year old Vermonter. the thirteenth novel in Stephanie Barron’s delightful Regency-era mystery series. Gentle Readers: Today Jane Austen in Vermont is taking part in the ‘Jane Austen and the Waterloo Map’ blog tour that began on February 2, 2016 (see other tour stops below). Ms. Barron has done it again! – this time taking us into the Battle of Waterloo, but not before presenting our Jane with a body in the Carlton House Library! Read here an except from Chapter 8, followed by the details for the Giveaway – you can comment here or any of the other blog posts until February 29th. November, 1815. The Battle of Waterloo has come and gone, leaving the British economy in shreds; Henry Austen, high-flying banker, is about to declare bankruptcy—dragging several of his brothers down with him. The crisis destroys Henry’s health, and Jane flies to his London bedside, believing him to be dying. While she’s there, the chaplain to His Royal Highness the Prince Regent invites Jane to tour Carlton House, the Prince’s fabulous London home. The chaplain is a fan of Jane’s books, and during the tour he suggests she dedicate her next novel—Emma—to HRH, whom she despises. However, before she can speak to HRH, Jane stumbles upon a body—sprawled on the carpet in the Regent’s library. The dying man, Colonel MacFarland, was a cavalry hero and a friend of Wellington’s. He utters a single failing phrase: “Waterloo map” . . . and Jane is on the hunt for a treasure of incalculable value and a killer of considerable cunning. Lieutenant James Dunross of the Scots Greys. There was the briefest pause. “James?” Miss MacFarland queried in a lowered tone, her gaze fixed on the glowing coals. The gentleman forced himself heavily to his feet, and crossed with the aid of his cane to the draped window. He pulled aside the dark blue curtain and leaned into the casement, staring expressionlessly down at Keppel Street.“Are you at all familiar with the course of the battle?” Miss MacFarland asked. As who did not? Uxbridge had cut a dash among the Great for most of his life: He was an earl as well as a general; head of the Paget family; a darling of the ton; and Wellington’s reputed enemy. A few years since, Uxbridge ran off with the Duke’s sister-in-law, and embarrassed all their acquaintance. Divorce and outrage are nothing new to people of Fashion, however; and tho’ Uxbridge and Wellington might not sit down to whist together, once battle was joined with Napoleon, one was in command of the other’s cavalry. Some ten brigades, in fact. “Ah,” I managed. I had never thought to consider which regiments comprised the Union Brigade. Another man of Fashion. The Ponsonbys had spawned Lady Caroline Lamb, one of most outrageous ladies I have ever encountered. “Indeed. Or at least, their gun batteries.” Miss MacFarland glanced almost unwillingly at Lieutenant Dunross, but the silent figure by the parlour window gave no sign that he was attending to our conversation. “I am sure that Ewan regarded that charge as having won the day,” Miss MacFarland argued. I glanced at Miss MacFarland. Her expression was grim, as tho’ it were physical pain to hear Dunross speak. She threw up her hands. “I wonder you regard even my brother as worthy of your respect, James,” she cried. 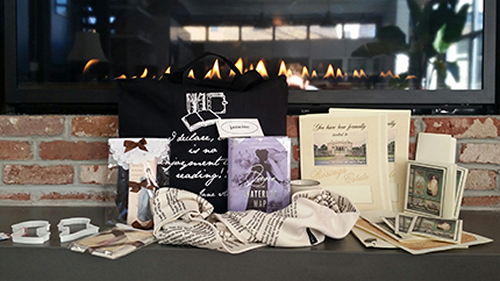 In celebration of the release of Jane and the Waterloo Map, Stephanie is offering a chance to win one of three prize packages filled with an amazing selection of Jane Austen-inspired gifts and books! To enter the giveaway contest, simply leave a comment on any or all of the blog stops on Jane and the Waterloo Map Blog Tour starting February 02, 2016 through 11:59 pm PT, February 29, 2016. Winners will be drawn at random from all of the comments and announced on Stephanie’s website on March 3, 2016. Winners have until March 10, 2016 to claim their prize. Shipment is to US addresses. Good luck to all! 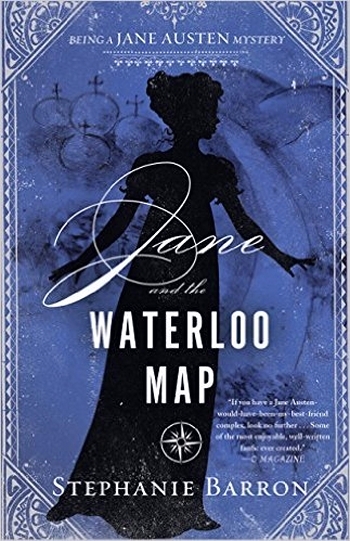 The Blog Tour: For more about Jane and the Waterloo Map, you can visit and comment on these other blogs throughout the month of February – there are reviews, interviews, guest blogs, and more excerpts, plus the fabulous giveaway opportunity. Join the fun! Stephanie Barron was born in Binghamton, New York, the last of six girls. She attended Princeton and Stanford Universities, where she studied history, before going on to work as an intelligence analyst at the CIA. 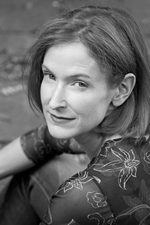 She wrote her first book in 1992 and left the Agency a year later. Since then, she has written fifteen books. She lives and works in Denver, Colorado. 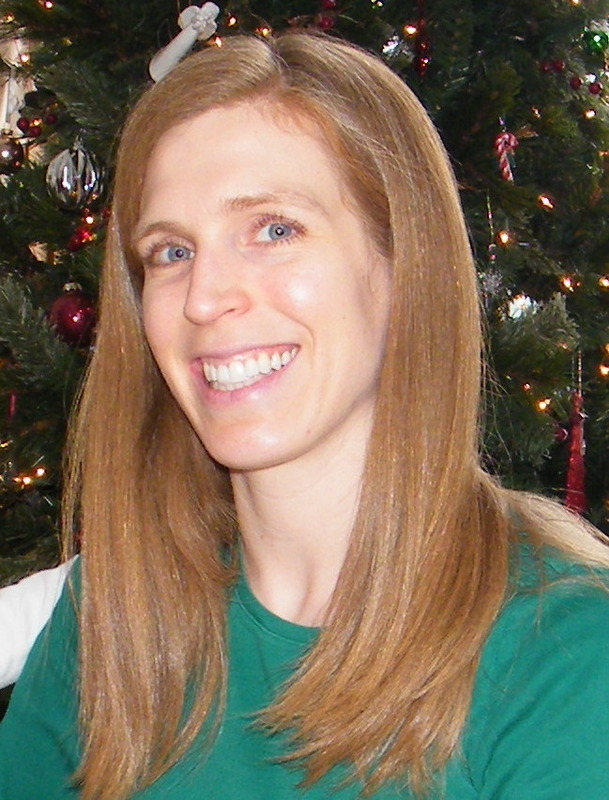 Learn more about Stephanie and her books at her website, visit her on Facebook and Goodreads. Murder will out …. Taking a slight detour from the usual Jane Austen and Regency Period fare here at Jane Austen in Vermont, I shall alert you today to the website The Westminster Detective Library. It is the mission of the Westminster Detective Library to catalog and make available online all the short fiction dealing with detectives and detection published in the United States before Sir Arthur Conan Doyle’s “A Scandal in Bohemia” (1891). We have posted our working bibliography and will add full-text copy of its entries as we prepare them. We welcome comments and solicit both additional bibliographical entries and texts. A work in progress, the site offers a short tales by Dickens, Poe, Wilkie Collins, and a good number of more obscure writers, the first story from 1834, “A Story of Circumstantial Evidence” by Daniel O’Connell. You can access the stories from the Bibliography, where you can browse by title, author, or chronologically. Stories are formatted as they may have originally appeared in a journal or newspaper, but the handy “printer-friendly” button allows the more modern full-screen view you may print out for bed-time reading, the best place for any and all detective fiction. 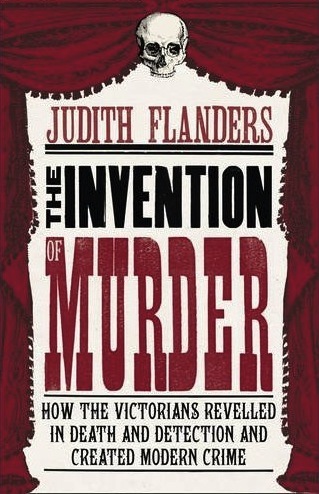 In this meticulously researched and compellingly written exploration of a century of murder, Judith Flanders examines some of the most gripping and gruesome cases, the famous and the obscure, the brutal and the pathetic – to build a rich and multi-faceted portrait of Victorian society. The Invention of Murder is both a gripping tale of crime and punishment, and history at its most readable. The Pemberley Post, No. 13 (April 15- 21, 2019) ~ Jane Austen and More! Happy Easter One & All!